For many runners, the ultimate bucket list goal is to finish a marathon at some point in their lives. If running is good for overall health, then more running must be the fountain of youth. At least that’s the logical assumption. But research from the University of Copenhagen found that there is a point of diminishing returns for total mileage and overall pace in reducing the ultimate risk, premature death. To finish a marathon requires a training schedule of 20-25 miles during the week with ever increasing long runs of 8-20 miles on the weekend. Depending on the desired finish time, training has to keep up with a minimum pace. This grueling calendar of race buildup may be why shorter races have been gaining in popularity. There were 8.3 million 5K finishers in 2013, up 34% from 2012. 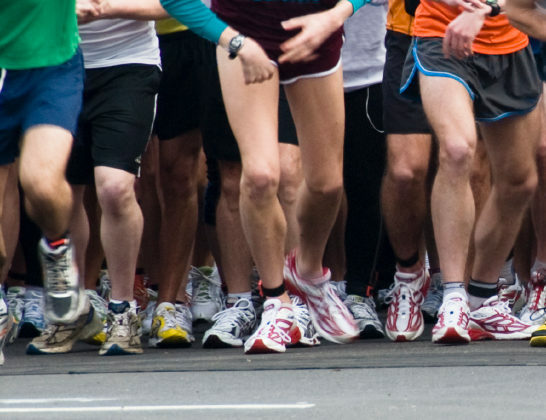 Half marathons have also been a popular substitute for the marathon with almost 2 million finishers in 2013. While a half million people finished a marathon in 2013, the growth of the race has been flat. At the researchers disposal was the Copenhagen City Heart Study that has been tracking detailed health statistics on thousands of city residents for over 20 years. Out of 5,048 health participants, Dr. Peter Schnohr and his team picked out 1,098 volunteers who identified themselves as runners or joggers, in addition to 413 healthy but sedentary adults. Tracking data for 12 years, the researchers learned about the volunteers’ running frequency, distance and pace. As expected, the joggers had a lower overall mortality rate over the 12 years compared to the sedentary group, 28 to 128 respectively. But the surprising finding was that the slower, less frequent joggers had the lowest death rate of all. In fact, those that ran only 1 to 2.5 hours per week at a slow pace were at the least risk of premature death. Runners who ran fast and often had a mortality rate close to the couch potato, inactive group. So even if a race is in your future, just getting out for a jog 2-3 times per week is enough to pay healthy dividends years down the road.